Are you looking for expert photocopier repairs Chullora? Having a photocopier break down is one of the most frustrating things you can experience if you are working in an office where they are an essential requirement. It doesn’t even need to be an office specifically, there are many types of businesses that use photocopiers, that rely on them as part of running a successful business. So, the last thing you need is your photocopier breaking down and creating hassles for you and your colleagues. They are important in the workplace so you you need to know that you can get it repaired as soon as possible. There just happens to be a company who can do that for you. There is no frustrating waiting around period, waiting around for days just to get it repaired. Instead, you can get it repaired that same day, the same day you make the call but you need to get in touch with the right company for that kind of professional service. You can get it at Express Office Machines, a company that understands how important a photocopier, amongst other things, is important for any office in a business, school, or any other type of environment to function efficiently. When you get in touch with them for photocopier repairs Chullora you won’t have to worry about going days without a photocopier. They operate with a fast, efficient, and quality service. In fact, that is their mantra because they mean it. They will offer you a competitive price and a same day service. It’s the kind of value you can’t ignore. 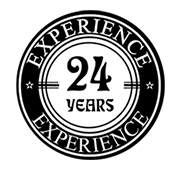 Not only that but they have 24 years of experience in the repair and service industry. They know how to deliver customer service that is unbeatable, just to top up their already professional service. If you want to know more about professional and prompt photocopier repairs Chullora then call Express Office Machines today for a free quote on 1300 930 765.